OSSH was founded in 2004 and is a purpose built facility designed solely for the treatment of orthopaedics/musculo-skeletal condit ions. The hospital is unique and benefits from having independent status. Because we are not part of a large organisation we are able to be closely connected and responsive to our patients needs. 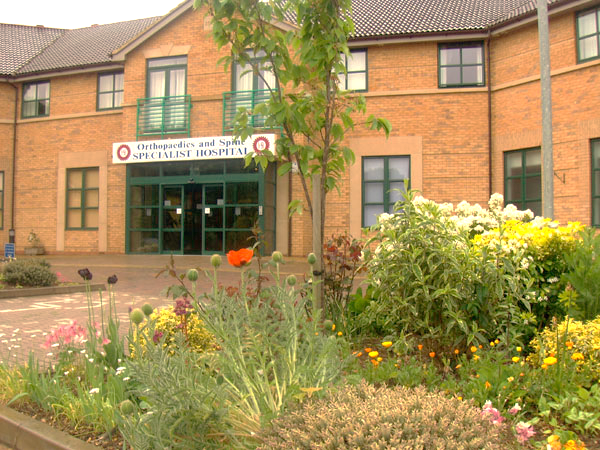 The hospital is situated in Bretton, Peterborough with easy access to the main roads, train and bus routes. We have a large free car park with ample disabled parking spaces for patients who need to park closer to our main entrance. On the ground floor of the hospital is our reception area, consultation rooms and x-ray room. Our hospital’s operating theatre is also situated on the ground floor. Our main catering facility/kitchen is also situated on the ground floor. On the first floor of the hospital are 20 en-suite bedrooms and our patients Day Room. The hospital has a state of the art Operating Theatre Suite, with clean air technology ‘laminar air flow system’. The hospital has an excellent record in infection control and throughout our fourteen years of operation we have had no reported cases of MRSA or Clos Diff. OSSH has received two ‘Highly Commended for Customer Care’ Awards from the Peterborough Evening Telegraph Business Awards.